DITG Ep 2 - Backhand: Now with subtitles! As most of our frequent readers have probably already noticed, the 2nd episode in our 5-episode series, Discmania Deep in the Game came out a little over a week ago. By this series we aim to provide tips and instructions for current and future Disc Golfers on how to Reinvent their game. An essential part in making these episodes available for all, is to provide them for free via YouTube but also providing them with proper subtitles to provide a real learning experience also for those who don't speak English. Thanks to some friends around Europe, we've been able to translate the captions of the first episode to English, Finnish, Czech, Dutch, Swedish, Norwegian, French, German and Estonian. The second episode is already available with English, Finnish, French, Norwegian and Estonian subtitles and a couple of languages are still in the process of getting translated. 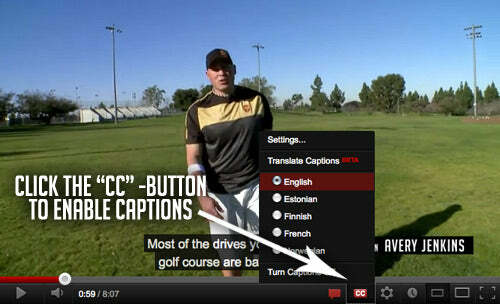 If you think you could spare a little time to help Disc Golfers in your country by making translations to your language, please let us know by dropping an email to janne.lahtinen[at]innovaeurope.com. All help is much appreciated! If you haven't taken part in our sticker-spotting contest yet, now is a great time! 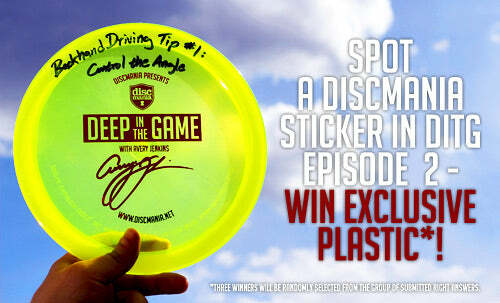 All you need to do is to spot a Discmania sticker in Episode 2 and submit the info to us to make you eligible to win exclusive plastic. This one was a bit on the tricky side, so make sure you watch the episode with 720p quality and full screen to make your job easier. We also strongly recommend you read the full instructions here to avoid wrong answers. Update: German & Dutch subs added! The Backhand episode is now equipped also with German and Dutch subtitles. Thanks to Mark & Frank for submitting the translations!